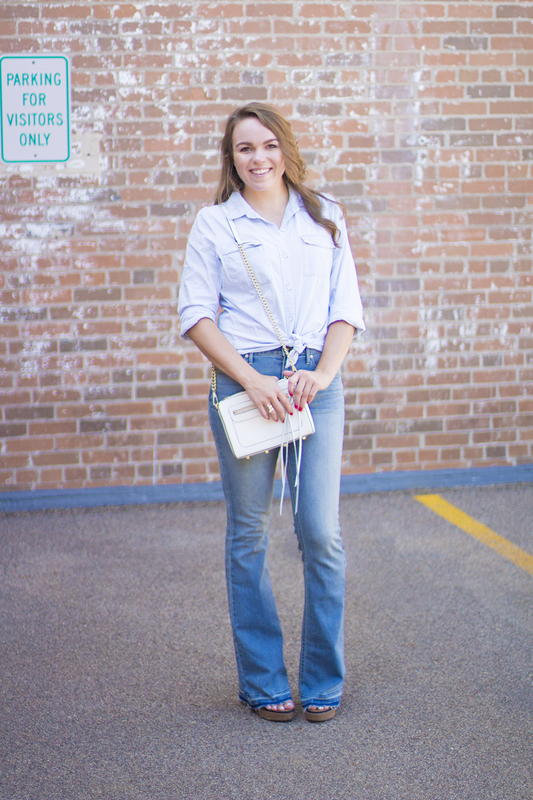 Chambray Top // Flare Denim (Post Coming Soon!) 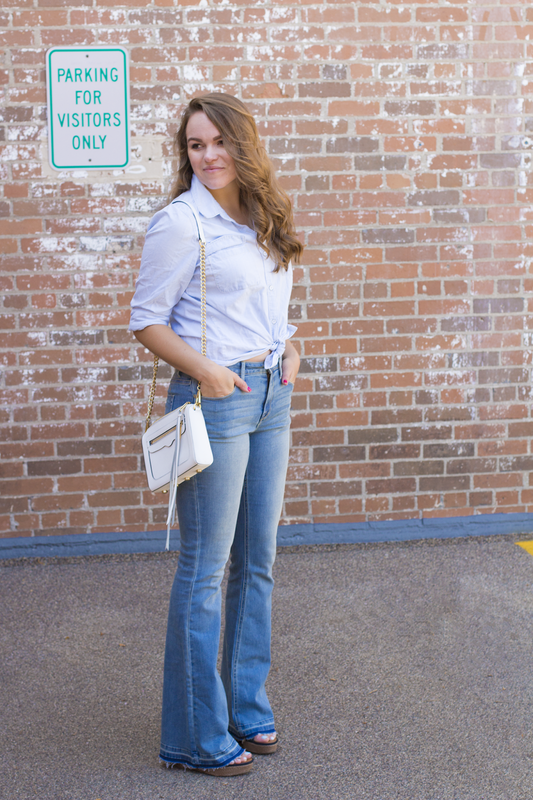 // Wedges, old (love these…and these) // Rebecca Minkoff Bag ℅ // Essie's "Bachelorette Bash"
This outfit may or may not totally channel the 70's but it is one of my favorite outfits yet! 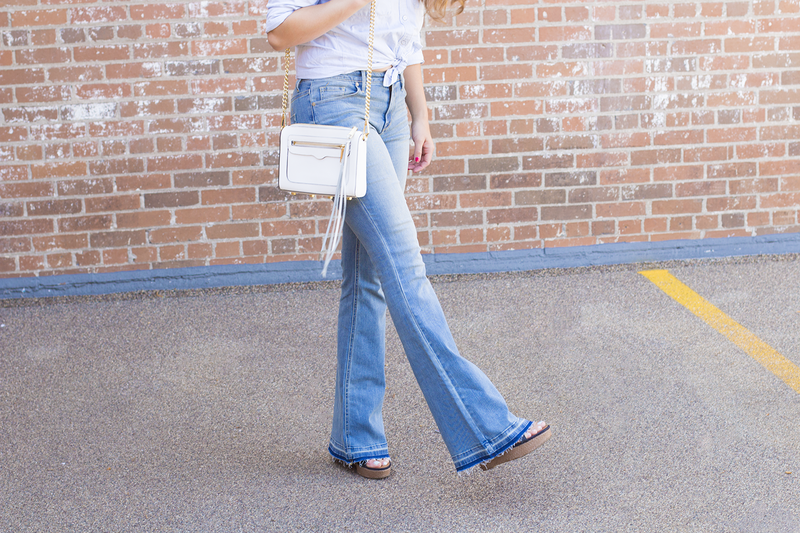 There is something about a chambray top and high-rise, flare jean that makes me giddy! 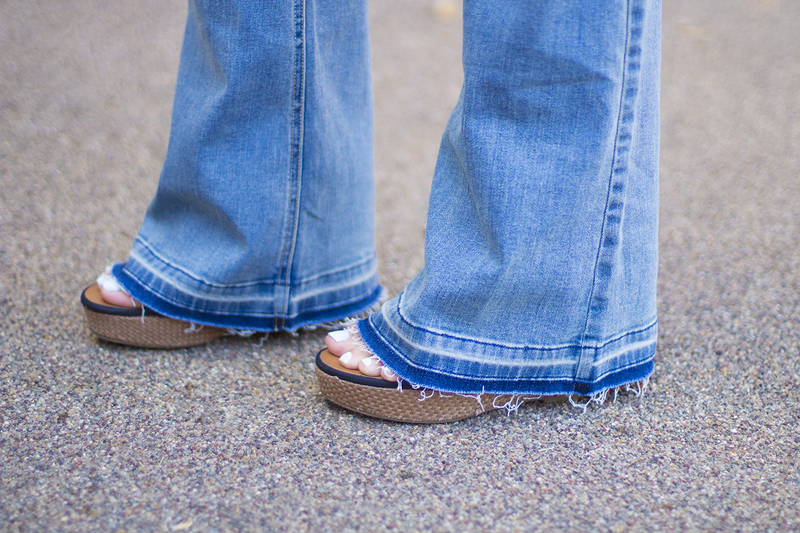 It is fun to mix patterns, colors, prints, etc., but mixing denim can be difficult! I opted for a light chambray top and medium denim wash to pair together. I figured these two colors didn't clash and complimented each other well. On another note, in the next few weeks you will be seeing some nip & tucking happening around here. No, I am not talking about myself…but my blog ha! I am excited to unveil something very different…and more sophisticated! Don't you just love surprises;)? P.S Have you tried the denim on denim look? What are your thoughts?